You can think of many situations where you would like to create a self hosted machine for Visual Studio team services (VSTS). 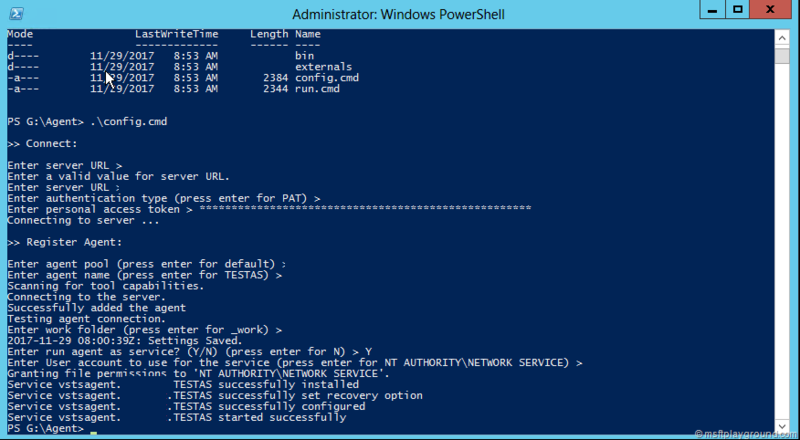 Installing and configuring a self hosted machine requires only a few steps. Windows 10 and Beyond (64-bit): No known system prerequisites at this time. Visual Studio: Not technically required by the agent, but many build scenarios need Visual Studio. Account with Personal Access Token. 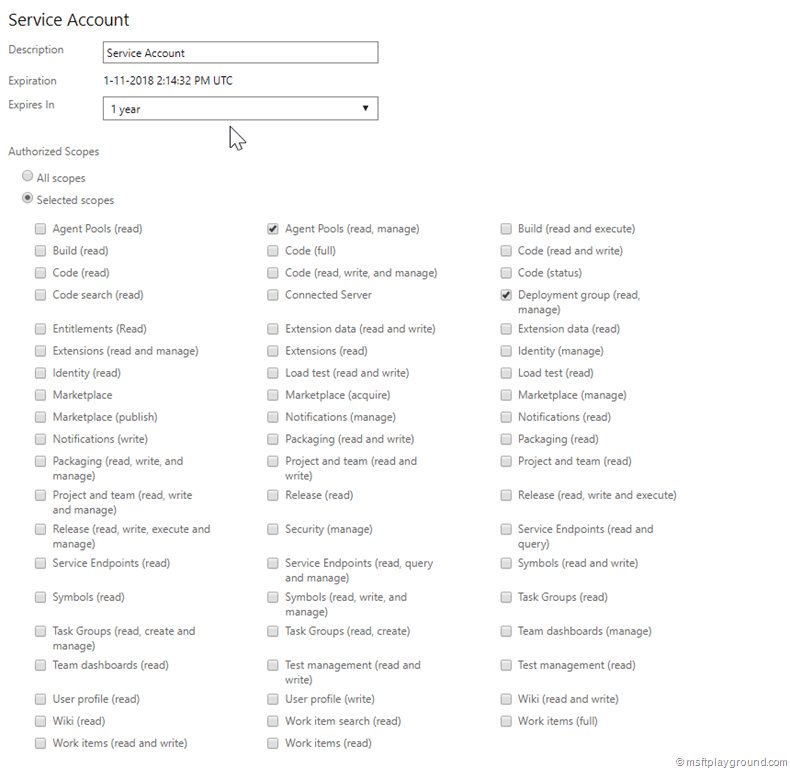 Navigate to the VSTS tenant were you want to add an agent. 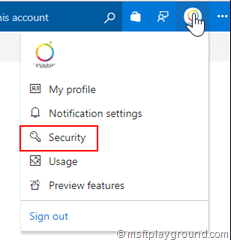 In the top bar click on your icon and click on “Security”. 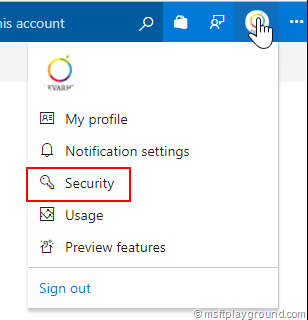 Within the security window click on Personal Access Token. With all the pre-requisites in place we can start with the agent itself. Logon to the server that will be the self hosted machine. 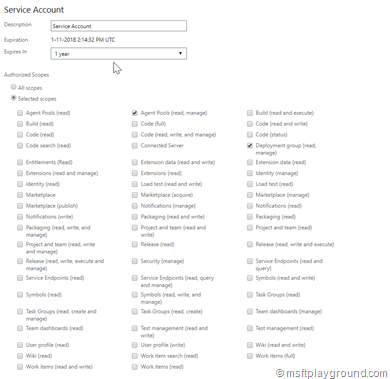 The pool is a logical container for the agents that you add to VSTS. You can name the pool after the company of define another logical name. 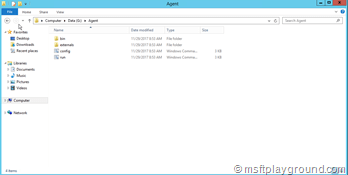 Create a folder on the server to install the agent. It is a good practice to keep the folder naming as short as possible (D:\a or D:\agent). 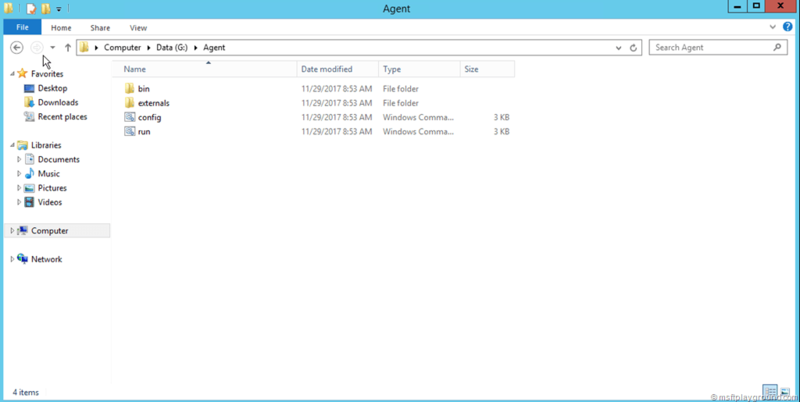 Download the agent and extract it to the folder you created. 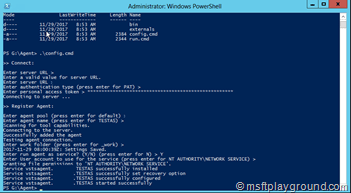 Open a PowerShell window as administrator and navigate to the created folder. During the execution you need to fill in specific information about your tenant. At the end of the script the agent is started. The installed agent should now be visible within the agent pool in VSTS. You can name the pool after the company of define another logical name.